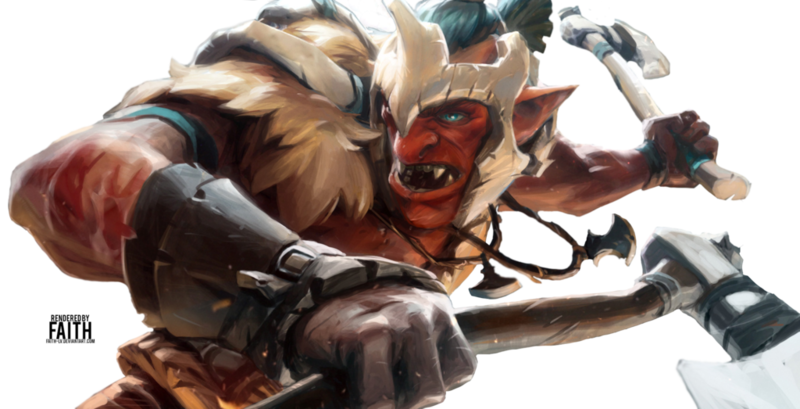 Troll is a carry hero that can change his attack range. He can choose to become a melee carry or to become a ranged carry. Melee means more damage and also can have the stunning ability and ranged means he can deal damage from a long range and can be use for chasing a running target if a melee attack can't catch up. Make you get more damage, HP, attack speed, armor and a stun attack by using a melee-mode. This is your carry-mode. So in any teamfight, it is 100% must for you to use this mode. A slowing skill that needed to chase enemy that runs away. A nice damaging ability with low manacost and gives a miss chance to the enemy attack. So good to be cast ona duel with your enemy. And also can be use to farm. A nice skill that makes you get more attack speed on each attack by not changing your target. Needed to make you a decent carry on the late game. The more HP the enemy have, the more you will get the benefit from this ability. So Roshing and also fighting enemy carry on the late game will be easier because of this skill. Increase your attack speed like crazy! A very good skill on anything. farming, jungling, Roshing, and also ganking and carrying. Also gives the attack speed buff to all your friend globally. Why take Berserker's Rage? With the increased damage in melee-mode, it will increase your chance for getting the last hits. Also can save you from enemy's attempt to get firstblood because in melee mode you gain bonus movement speed to run away and you also get more Hp to increase your survivability. 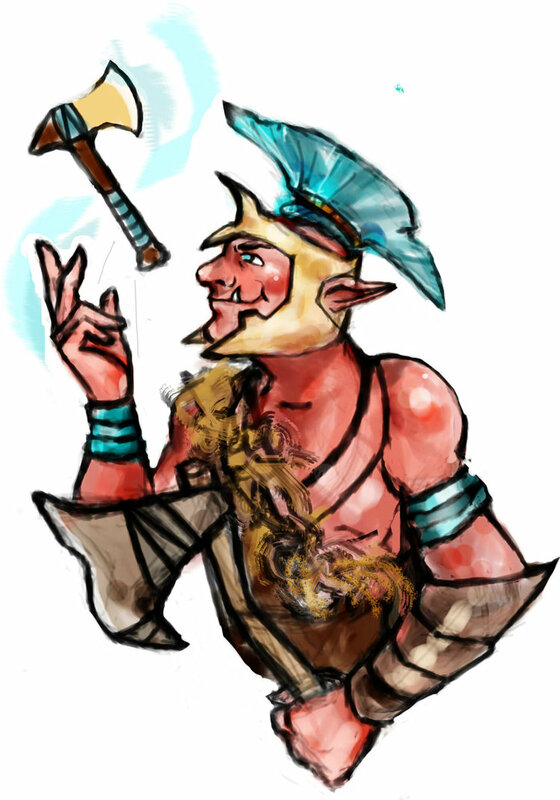 Why maxed Whirling Axes first? This is your main nuke, you will need this for ganking, farming, and killing on early mid game. Why maxed Berserker's Rage before Fervor? Attack Speed bonus from Fervor is a good late game booster. And you not need it to increase it early. You may need the Berserker's Rage more because it gives more stun duration to help you chase your target. Use Berserker's Rage for easier last hits. It will increase your damage. Also use the Whirling Axe for multiple last hits. Beware of high damage nukes, you are one of the squishiest hero on the map. Also always keep an eye on your ward so you can see any movement from the enemy that may harm yourself. You need farm the most, so be focus in last hitting because you are the carry of your team. d. Chase the running enemy using Whirling Axe and you may use the Ranged mode if the enemy just need 1 more hit and you cannot catch up with him. Also always keep an eye on enemys movement and prepare yourself from any attempt to gank you. Late game is your time to shine. You should already reach high level here. It will gives you so much advantage from the additional HP and attack. And also I assume that you should already finished your core items. That means you are ready to crush enemy in the teamfight. This items gives you lifesteal and some additional damage. With lifesteal you can survive in a tough teamfight. 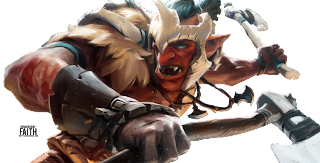 With the additional lifesteal you can solo Roshan because you have a continuous increase in attack speed thanks to your passive. This item also gives you the abiliy to dominate creeps, I recomtend you to dominate Alpha Wolf to increase your damage.